Teaching children computational thinking, understanding and writing code is a groundbreaking development in education in Australia. Coding concepts are introduced from Prep to Year 2 when children learn how to follow and describe a sequence of steps (computational thinking) and ways in which data is represented as pictures, symbols and diagrams. Students are slowly introduced to some of the common jargon to help them familiarise with the digital world and avoid being intimidated by technology. 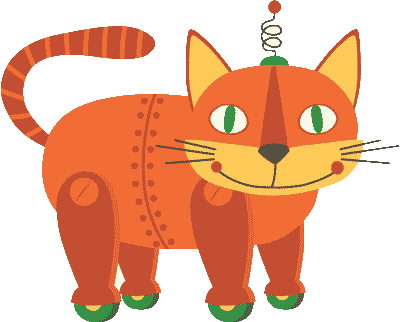 Students learn to use a children’s coding program, such as Scratch and develop projects such as “Scratchy the Cat”; a code to make the cat spin, walk, fly, interact with other objects, and repeat actions to create automated movement. Creativity in technology is also a fundamental skill since most problem solving tasks within the computational thinking spectrum invites a new kind of lateral thinking. All these skills are just the beginning because at Belle Vue PS each student has access to a robot. By using robots, children can apply coding to a robot unit that can accept instructions. These robots are not toys, they can be programmed to accomplish very complicated tasks. In Year 3 and Year 4 the students learn about different types of data – such as text, images, and videos – and how the data can be represented in different ways using codes and symbols. The students continue using programmable robots but at this level they use a different kind of unit. These new robots can be extended to accommodate a more intricate coding pattern. In Year 5 and Year 6 students look at how different digital systems work together. They plan and design a game with specific automated tasks with robots and sensors.